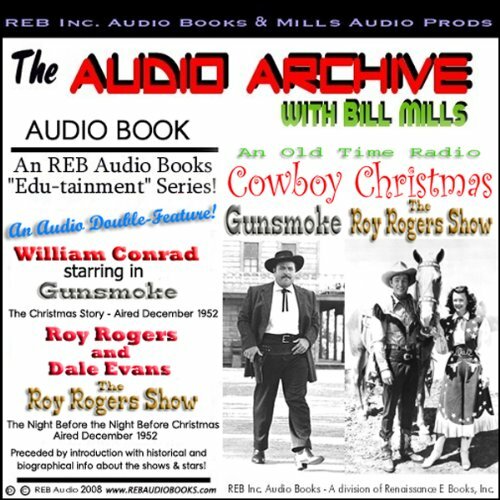 Showing results by author "Renaissance E Books Inc"
By: Renaissance E Books Inc.
Saddle up and come along on a Cowboy Christmas with Marshal Matt Dillon and "King of the Cowboys" Roy Rogers! During the years now known to old-time radio fans as the Golden Age of Radio, listeners could expect to hear special guests and holiday sketchs on their favorite programs. Even the Western shows and cowboy stars of the day could be counted on to show the holiday spirit, especially at Christmas time.